Tackle the harmful effects that the environment, stress and tiredness can have on sensitive skin with the Avene A-Oxitive skincare collection. 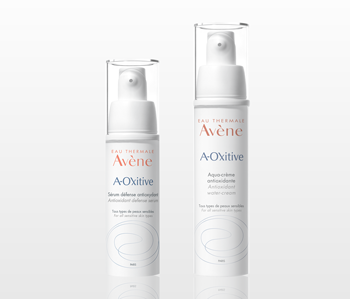 Designed to neutralise damage caused by oxidative stress, Avene’s A-Oxitive skincare range works hard to defend your skin from dullness, dehydration and accelerated ageing. Avene has combined the protective powers of antioxidants and cell energisers to restore vitality, youth and radiance back to your complexion. Providing your skin with daily first-line defence against both external and internal factors such a UV, infection and tobacco, A-Oxitive keeps skin looking healthy from the inside out.